How Do You Like This Custom 1967 Dodge HEMI Dart? Whether you’re going to like it or not I believe you’ll agree that this custom 1967 Dodge HEMI Dart looks way different than stock and yet, the old school apearance is retained. It seems like it is built to perform pretty good too, so why not checking it out? Besides the body mods this custom 1967 Dodge Dart interior is also redone. It has roll cage, aftermarket instruments and racing seats and a cool shifter. 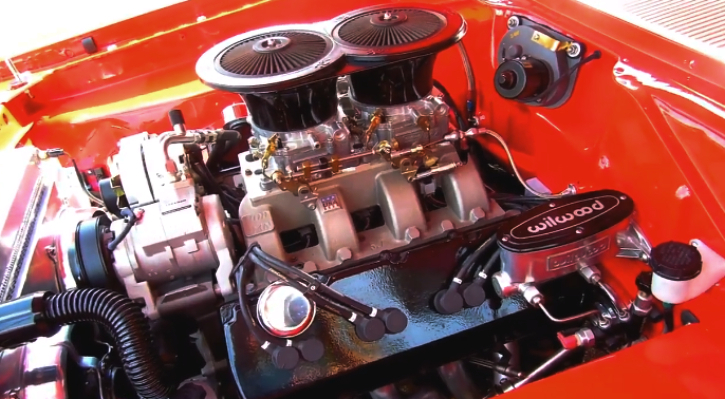 Now when it comes to the HEMI engine, what do you think the 2-four barrel carbs and twin plug heads mean it terms of power? Check out the video to see this Mopar up close and let me know in the comment section! Did You See Jake Owens’ Pro Street 1967 Dodge Dart Yet?